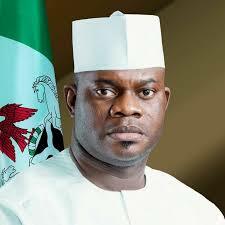 Governor Yahaya Bello of Kogi State, on Friday, assured members of the National Youth Service Corps (NYSC), posted to Kogi of their safety and enabling environment during their service year. The governor gave the assurance at the NYSC orientation camp, Asaya, Kabba, at the swearing-in ceremony of the 1700 corps members deployed to the state for the 2017 Batch ‘A’ Stream 11. Bello, who was represented by the Permanent Secretary, Ministry of Youth and Sports, Mrs. Esther Owotunse, said security personnel had been mandated to patrol all roads and tracks leading to the camp. “I wish to assure you that Kogi is safe for national service; we operate a government of the youth by the youth for the youths. “Our government has made huge investments in the area of security which boosted the morale of various security agencies in the state. “I implore you all to be good ambassadors of your respective families, institutions, states and by extension Nigeria at large. “I urge you to establish relationships that will last a lifetime by shunning prejudices that you might have conceived about other Nigerians. “It is through these unhindered healthy interactions that we can eradicate negative ideas that keep us apart, which will in turn foster unity in our country,” Bello said. The state Coordinator, Mrs. Ngozi Nwatarali, said the NYSC orientation course would equip the corps members with practical, social and leadership skills required for the challenges of the service year. She added that it would also inculcate discipline in corps members and make them imbibe good work ethics in preparation for their primary assignment.